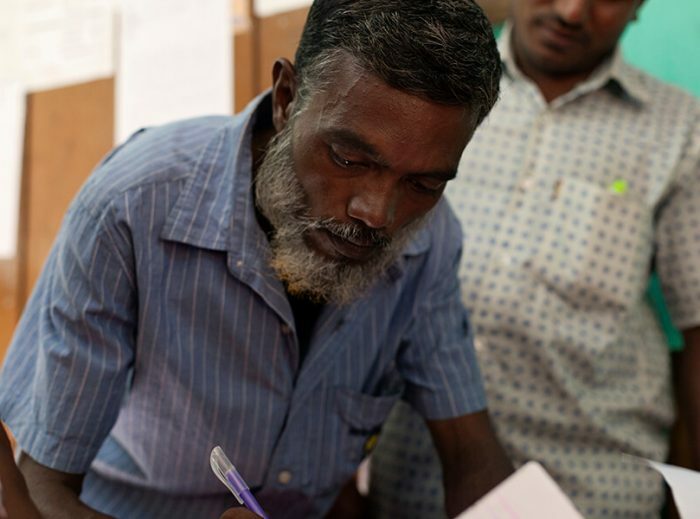 We explore the scalability of interventions aimed at improving the lives of hundreds of thousands of vulnerable people. Here are some publicly available research papers, briefs and datasets relevant to the science of scaling produced by members of our research networks. Three hundred million of the world’s rural poor suffer from seasonal hunger, which often occurs between planting and harvest when the demand for agricultural labor falls and the food prices rise. 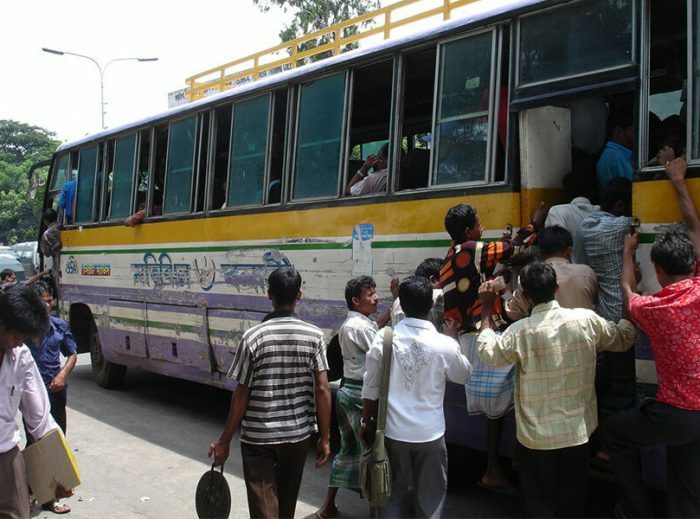 Some families in are able to cope by sending a migrant worker to nearby cities, where wages and employment remain high during the lean season. However, for households close to subsistence, migration is an unacceptable risk; a migrant may be unable to find a job after spending scarce resources to migrate. Seasonal migration grants give households the funds they need to migrate for work, increasing their consumption and benefiting non-migrants in home communities. In Bangladesh, these grants double migration rates, creating patterns of migration that endure for years after the provision of grants. Households that migrate increase their spending by 30-35%, and purchase an additional 550-700 calories of food per person per day. In addition, households that are not offered grants benefit from having more neighbors to travel with, diversified income streams in their risk-sharing networks, and higher wages in their villages during the lean season. The well-documented success of this program motivated a scale-up by Evidence Action, which plans to disburse over 200,000 loans by 2021. Researchers are replicating the program in other areas likely to benefit, i.e. rural areas with seasonal poverty and large sources of labor demand nearby, but where migration poses an unacceptable risk for poor households. A trial of the program is underway in Indonesia, and researchers considering another trial in Nepal in the near future. Evidence Action will use the results of this research to make decisions on future expansion of the program. Bryan, Chowdhury, and Mobarak, “Under-Investment in a Profitable Technology: The Case of Seasonal Migration in Bangladesh,” Econometrica, 2014. Akram, Chowdhury, and Mobarak, “Effects of Emigration on Rural Labor Markets”, working paper. Lagakos, Mobarak, and Waugh, “The Welfare Effects of Encouraging Rural-Urban Migration”, working paper. Can a bus ticket end seasonal hunger for the poorest families? VoxDev.org,“The path to scale: From randomised control trial to scalable programme”, November 14, 2017. Voxdev.org,“The path to scale: Replication, general equilibrium effects, and new settings” November 21, 2017. NPR – Goats and Soda,“Want To Help Someone In A Poor Village? Give Them A Bus Ticket Out”, December 28, 2017. Many well-identified microevaluations of microfinance have shown increases in investments and entrepreneurship, but little effect on the income and consumption of borrowers. Research by Y-RISE affiliate Joe Kaboski and colleagues complements this literature by exploring welfare effects and the long-run impacts of economy-wide microfinance regimes. In their structural evaluation of the Thai Million Baht Fund, Kaboski and coauthors found that the program cost twenty percent more than a welfare equivalent transfer. However, this average effect masks a great deal of heterogeneity in welfare effects across villages and households, with would-be defaulters suffering from larger interest payments while non-defaulting households benefit from more liquidity. A second paper by Kaboski and colleagues models the general equilibrium effects of economy-wide microfinance. Their model, which they validate using evidence from randomized microfinance evaluations, shows that long-run general equilibrium effects of microfinance could be different from the partial-equilibrium estimates from randomized evaluations. Specifically, in the long run, the availability of small loans leads to less savings which causes higher interest rates. This means that more of the gains from scaled microfinance go to the wealthy who can earn on capital. In the long run microfinance also results in more efficient allocation of loans to more productive entrepreneurs, and increases welfare particularly for the poor and marginal entrepreneurs. Kaboski, J.P., and Townshend, R.M. (2012). The Impact of Credit on Village Economies. American Economic Journal: Applied Economics. One billion people, or about 15% of the world’s population, currently practice open defecation (OD), and another 1.5 billion do not have access to an improved sanitation facility (WHO 2014). This creates poor sanitation and public health problems both for households that practice OD and for those that do not. Y-RISE researchers are working to discover the most effective ways to encourage latrine adoption in the developing world. A recent study by Y-RISE researchers found that, in Bangladesh, providing information on the health effects of OD had no impact, but lower prices and spillovers increase latrine adoption. Subsidizing latrines increased adoption by 22 percentage points for subsidy recipients and 8.5 percentage points for their unsubsidized neighbors. The presence of spillovers has implications for the design of large-scale sanitation marketing. Depending on the underlying mechanisms of the spillovers, maximizing latrine adoption could involve giving small subsidies to many households or large subsidies to few. Similarly, should a large-scale sanitation marketing program target many households in a small number of communities, or fewer households across a larger number of communities? Subsidizing some types of households may generate larger spillovers than others, e.g. socially connected or relatively low income. Y-RISE researchers are currently working to address these questions. Guiteras, Levinsohn, and Mobarak, “Encouraging Sanitation Investment in the Developing World: A Cluster-Randomized Controlled Trial”, Science, 2015. Guiteras and Mobarak, “Does Development Aid Undermine Political Accountability? Leader and Constituent Responses to a Large-Scale Intervention”, Working Paper. For the world’s many poor agriculturalists, their well being depends on sometimes fickle rains. Despite the fact that formal rainfall insurance is both useful and feasible, take-up tends to be very low. Where present, informal risk-sharing is generally insufficient, partly because informal risk-sharing networks are local, so bad rainfall affects most or all of the network. Improving the take-up of formal insurance, and understanding its interactions with the informal insurance, promises to make lives better for poor agriculturalists by reducing the risks they face. Experiments by Y-RISE researchers estimated demand for formal insurance through randomized price variation, exploring how demand depended on two factors: participation in informal risk-sharing and basis risk, i.e. the gap between the rainfall experienced by the agriculturalist and the rainfall measurements that determine formal insurance payouts. These experiments revealed important complementarities between formal and informal insurance in the presence of basis risk. The studies also showed that greater insurance enables greater risk taking, even in the presence of informal insurance. Unfortunately, greater risk taking on the part of landowners can have general equilibrium effects that hurt agricultural workers by increasing fluctuations in their wages. Formal insurance induces land owners to plant crops that have higher yields when rains are good but lower yields when rains are bad. As a consequence, with wide adoption of formal insurance by landowners, wages and labor demand are higher when rains are good but lower when rains are bad. Y-RISE researchers show that the risk to agricultural workers can be mitigated simply by offering rainfall insurance to workers as well. The policy conclusion? If you offer rainfall insurance to someone, you should offer it to everyone. Mobarak and Rosenzweig, “Informal Risk Sharing, Index Insurance, and Risk-Taking in Developing Countries,” AER: Papers and Proceedings, 2013. Mobarak and Rosenzweig, “Risk, Insurance and Wages in General Equilibrium”, Working Paper. Mobarak and Rosenzweig, “Selling Formal Insurance to the Informally Insured”, Working Paper. In the road to economic development, new technologies can have dramatic effects in improving people’s livelihoods and accelerating growth. The existence of the technologies per se, however, is no guarantee that they will be actually utilized. A crucial step is disseminating knowledge about them. For example, most of the population in Malawi depends heavily on maize, a product for which simple but effective technologies exist, yet are often not used in practice, with the result that maize yields remain extremely low. In order to improve the take up of these technologies, The Ministry of Agriculture and Food Security (MoAFS) in Malawi trained volunteer farmers to communicate information about conservation farming and nutrient management to the rest of the farmers, incentivizing them by rewarding them for improved knowledge among the farmers and take up of the technologies. The program explored different methods to disseminate information to the villages – using volunteer farmers of different social status and using various incentive systems. After a year, knowledge about technologies improved in most of the targeted villages. After two years, the use of the technologies increased substantially. The work also highlighted the importance of the reward system in incentivizing the volunteers, and found significant difference in the effectiveness as a function of the social status of the volunteers, something that can guide future implementations of similar policies. BenYishay and Mobarak, “Social Learning and Incentives for Experimentation and Communication,” Conditionally Accepted, Review of Economic Studies. Beaman, BenYishay, Magruder, and Mobarak, “Can Network Theory based Targeting Increase Technology Adoption?”, Working Paper. BenYishay, Jones, Kondylis, Mobarak, “Are Gender Differences in Performance Innate or Socially Mediated?”, Working Paper. Human capital transmission is an important mechanism for explaining and disrupting intergenerational poverty. While human capital can increase productivity and provide an escape from poverty, low-income children develop human capital deficits very early in life. Existing evidence shows that interventions during infancy can combat these deficits. Data from a pilot program delivered in Jamaica in the 1980s shows that weekly home-visits to children under two years of age encouraging mother-child interaction can have positive long-term effects on education and earnings. 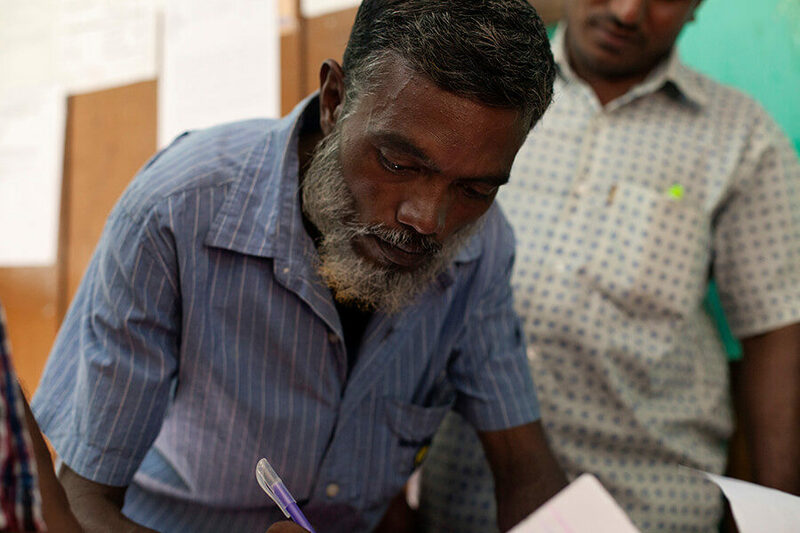 Twenty-five years later, Y-RISE affiliate Costas Meghir and colleagues are developing and testing scalable versions of this idea in Colombia and India. Initial research by Meghir and coauthors shows positive short-run effects of these home-visit programs on cognition in Colombia and India. Ongoing and future research will examine the persistence of these effects and the mechanisms behind them. One important question is on the existence of dynamic complementarity, or whether later childhood investments increase the impact of earlier interventions. 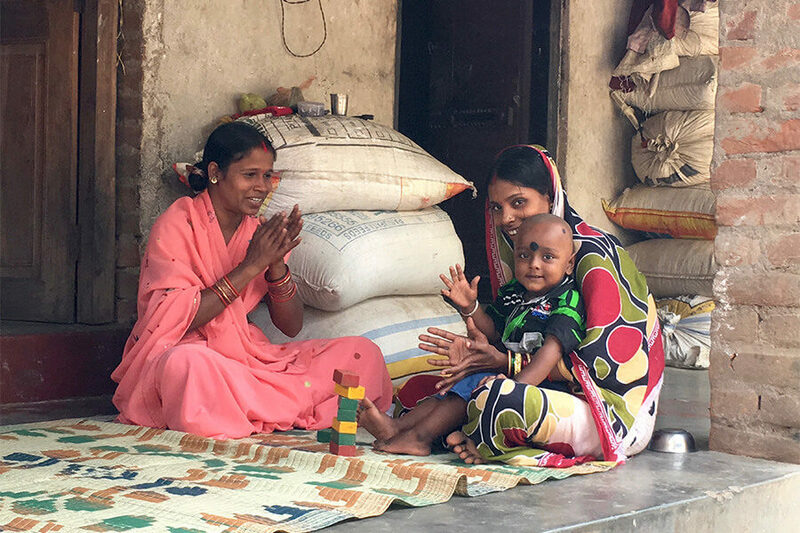 To study this, Meghir and colleagues will re-randomize their study sample in rural Odisha, India, providing some students with access to preschool at age four. In addition, detailed data on parent activities will shed light on channels of impact. Using a structural model for cognitive development, researchers will estimate the extent to which cognitive gains are caused directly by home-visits as opposed to indirectly through increased parental investment. Meghir and colleagues are conducting this research with scale in mind, striving to mimic scalable delivery during evaluations. When possible, studied programs use existing government structures, such as the conditional cash transfer infrastructure in Colombia. In India, local women are trained to run home-visits, with the hope of keeping costs down and increasing buy-in from the community. Other cost-reduction strategies are being tested, such as delivering the home-visit content in weekly playgroups with multiple mothers, which may also have the added benefit of reinforcing parenting behavior changes through peer networks. In addition, Meghir and colleagues are exploring a collaboration with Y-RISE partner Evidence Action to design and test scalable early childhood interventions in Africa. Attanasio, O.P., Baker-Henningham, H., Bernal, R., Meghir, C., Pineda, D., Rubio-Codina, M. (2018) Early stimulation and nutrition: The impacts of a scalable intervention. Working Paper. Throughout the world millions of people have been forcibly displaced by conflicts and economic catastrophes. Despite the enormous scale of the phenomenon of refugees in the world, there is little evidence on how to integrate refugees into economic life while maintaining or improving the life of natives. The focus of this project is to collect a comprehensive dataset on refugees from Myanmar to Bangladesh, whose migration was forced by persistent conflicts in Myanmar that can be used as a starting point for further studies on refugee populations and policy interventions. 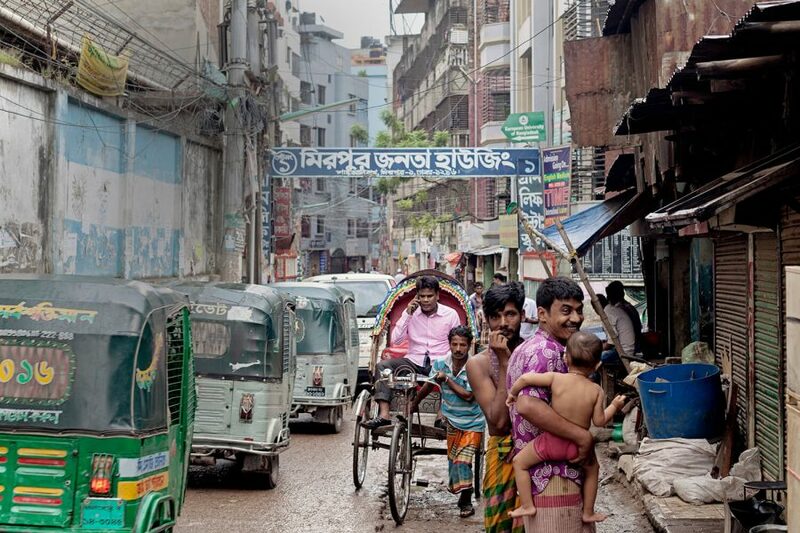 In particular, a representative panel data from Y-RISE researchers will be constructed in order to study the changes in labor markets, consumption and enterprises in Bangladesh following the migration from Myanmar. The creation of this panel will allow researcher to identify the targets of policy interventions and ultimately to evaluate policies affecting refugees and native population, providing a valuable guidance for policymakers in Bangladesh. The survey will have a sample size of 5,000 households and 1,000 enterprises, and it will cover the majority of the Cox’s Bazar District of Bangladesh, primary destination for refugees. The survey will include a set of questions about household composition and demographics, consumption, work, schooling health and assets. 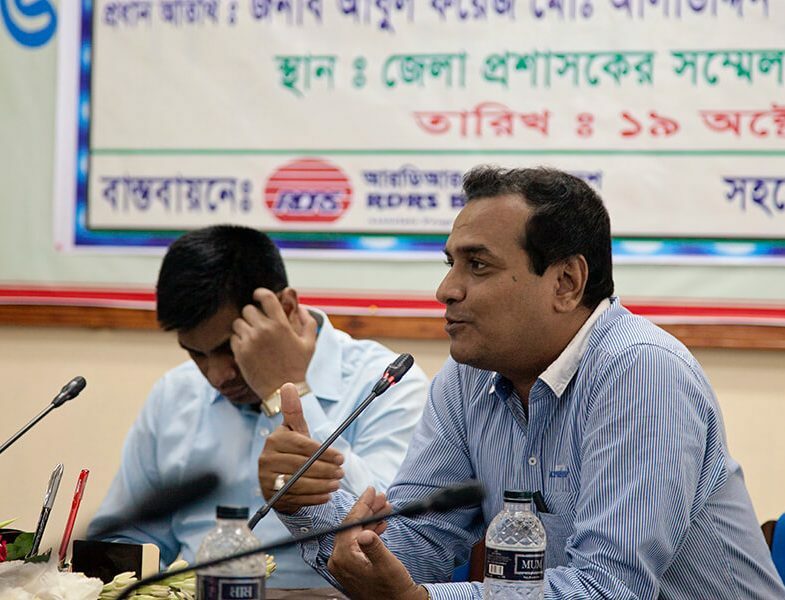 Y-RISE will work closely with IPA Bangladesh to conduct the data collection and subsequent interventions.